Get in the holiday spirit with our annual Holiday Open House! 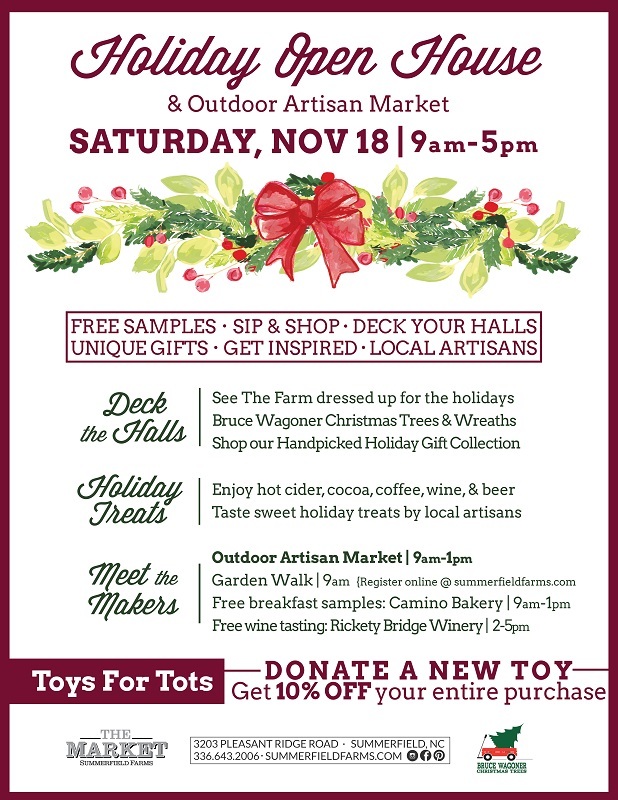 With hot cocoa, coffee or cider in hand, browse through an outdoor craft fair of local artisans. Join us for this holiday event you don’t want to miss. Bring family and friends with you to shop local, unique and thoughtful gifts! Free samples, sales galore and special treats for all to enjoy all day long.